the michelangelo foundation for creativity and craftsmanship is an international non-profit entity that celebrates and preserves master craftsmanship and strengthens its connection to the world of design. rooted in a tradition of culture and excellence and in the realities and challenges of today’s global economy, the foundation seeks to support men and women who dedicate themselves to the pursuit of master craftsmanship and to foster a new cultural movement built around the values that are essential for their work. the iconic montblanc emblem has become the ultimate seal of quality, innovation, and expression of style, with origins deeply rooted in the culture of handwriting. throughout its long history, the luxury maison has asserted its commitment to culture and craftsmanship with the creation of wide-ranging initiatives to promote the arts across many forms. 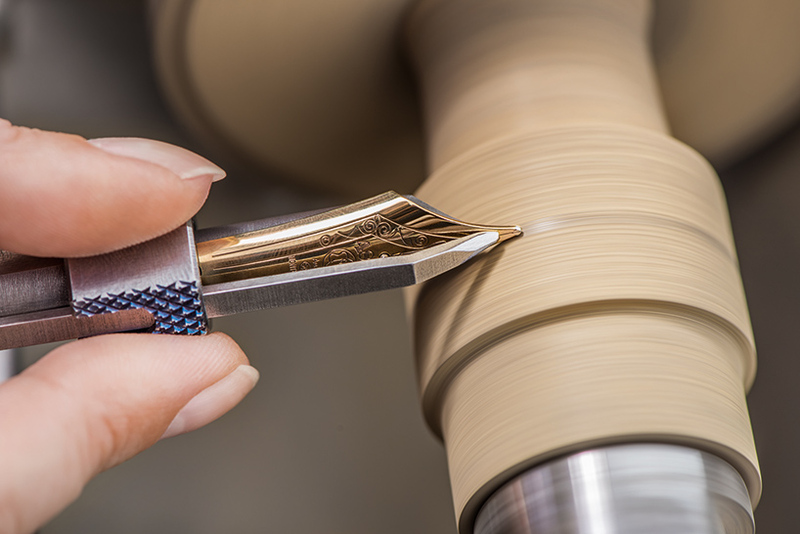 in this vein, montblanc brings the fine art of bespoke nibs and the rare skills of its artisans to the monumental exhibition homo faber in venice, presented by the michelangelo foundation — an entity dedicated to supporting and preserving master craftsmanship. 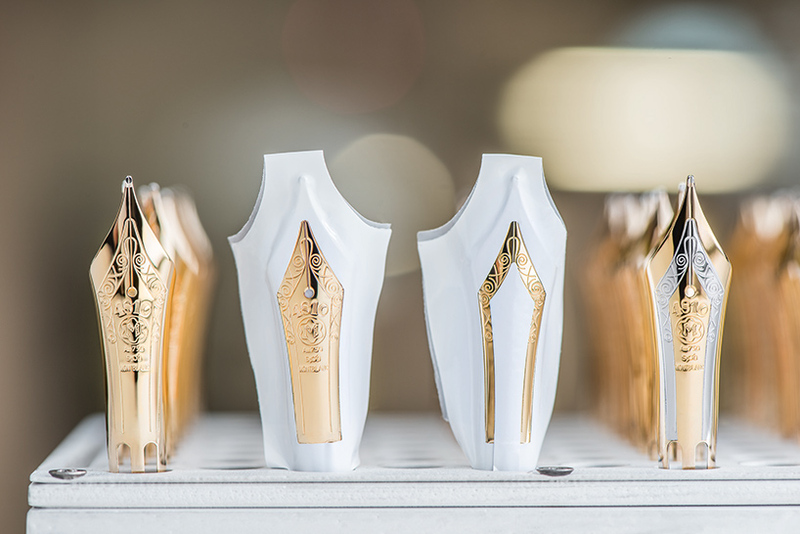 as part of ‘homo faber’ — an inspiring showcase of fine european craftsmanship running from september 14 – 30, 2018 — montblanc artisans unearth the enduring passion and expertise that has fostered the company’s status as a great pioneer of writing culture. 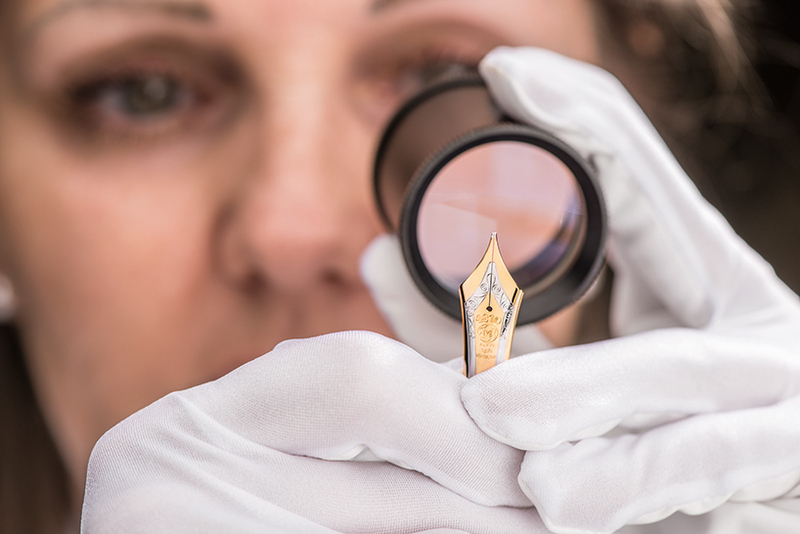 montblanc spotlights the exceptional art of nib craftsmanship at the michelangelo foundation’s major exhibition homo faber, a skill which the company has nurtured for over 110 years. 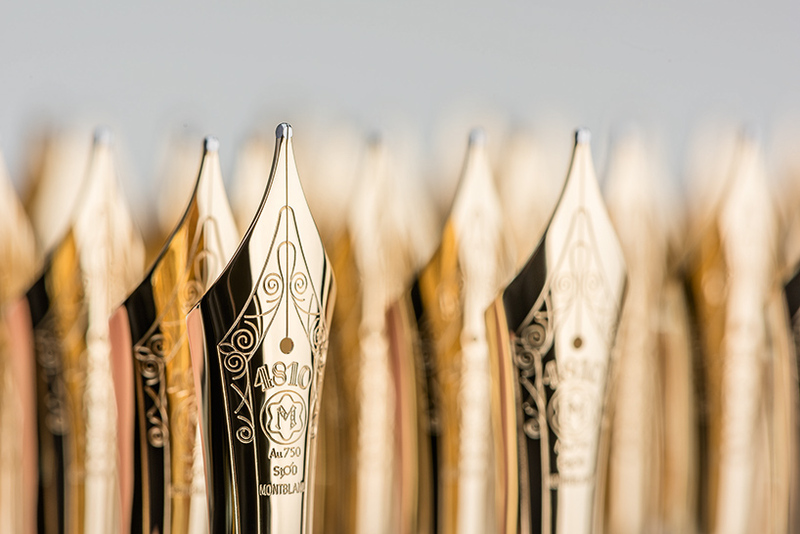 among the many innovations that montblanc has pioneered over the past century, the nib — often referred to as the soul of every writing instrument — requires the utmost patience and skill to craft. 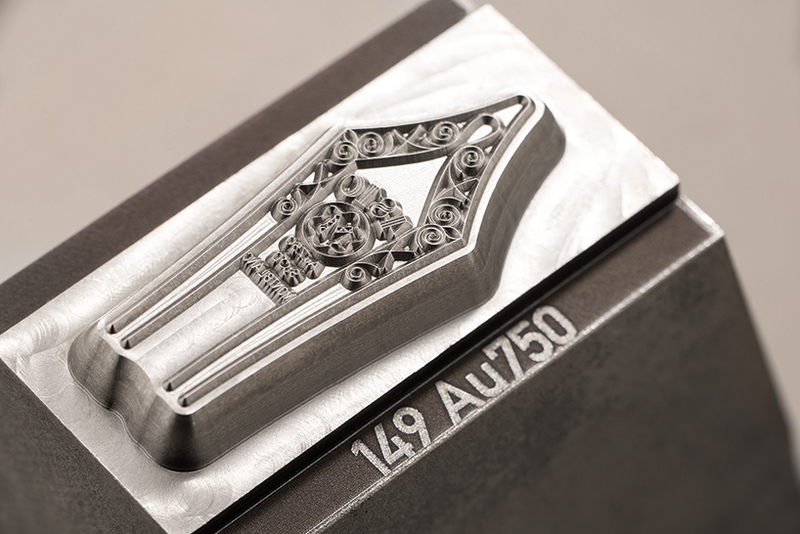 a combination of high precision tools and manual work that takes years to master, each nib is the result of unparalleled expertise, perfect workmanship, and an abundance of patience. 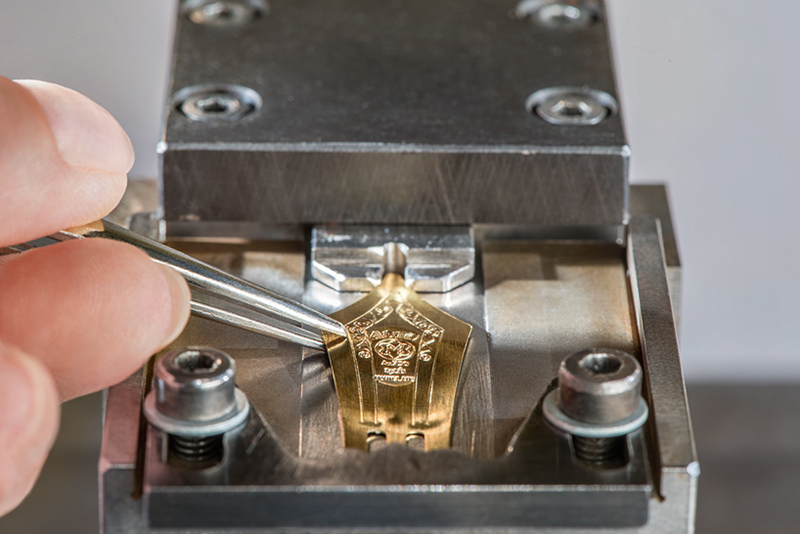 at the exhibition, montblanc retraces the artistry that has been honed inside the walls of its hamburg manufacturing facility since 1906, and continues to be passed down to future generations of artisans. 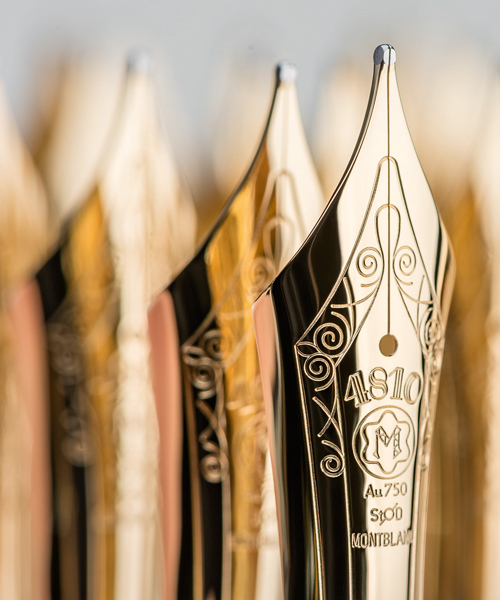 the métier d’art of nib craftsmanship is passionately preserved by montblanc: nibs are sculpted by hand from solid gold by master artisans, which oversee a program of 35 steps. 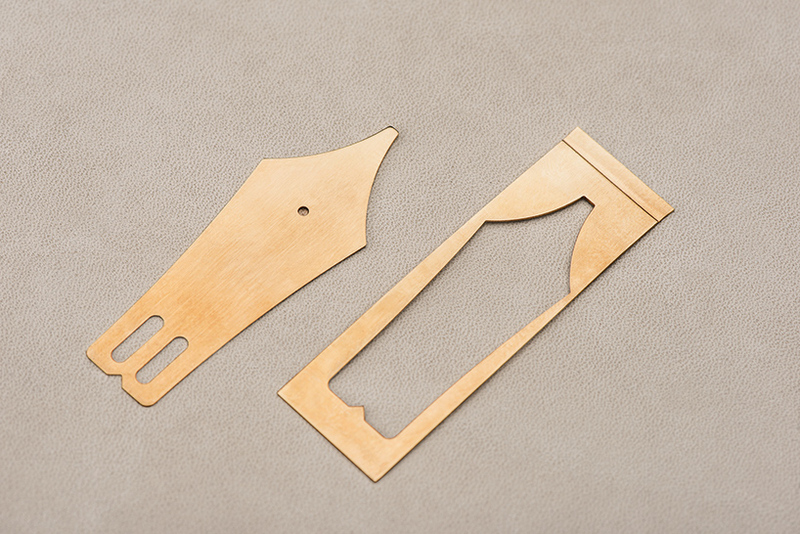 the assembly of the three parts — the ink feeder case, the ink feeder, and the gold nib — is an exercise in exactitude. 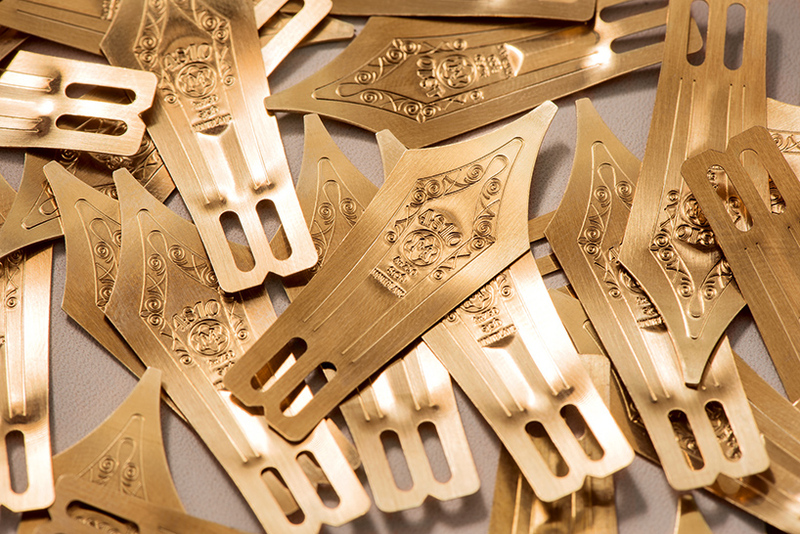 all pieces must be perfectly positioned to guarantee they do not shift as they are meticulously brought together. the nib tip setting must also be executed with great accuracy to ensure writing quality and proper ink flow. 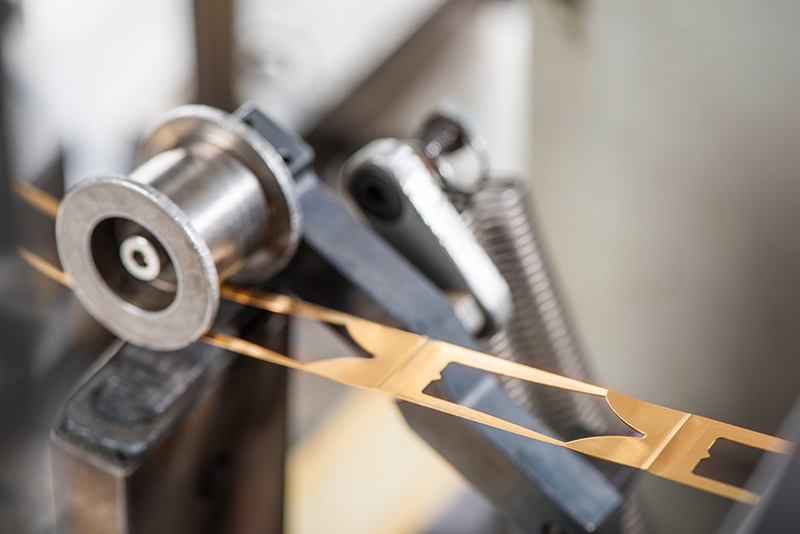 before any writing instrument is allowed to leave the manufacturing facility, it is stringently tested by hand for different writing angles, pressures and speeds. 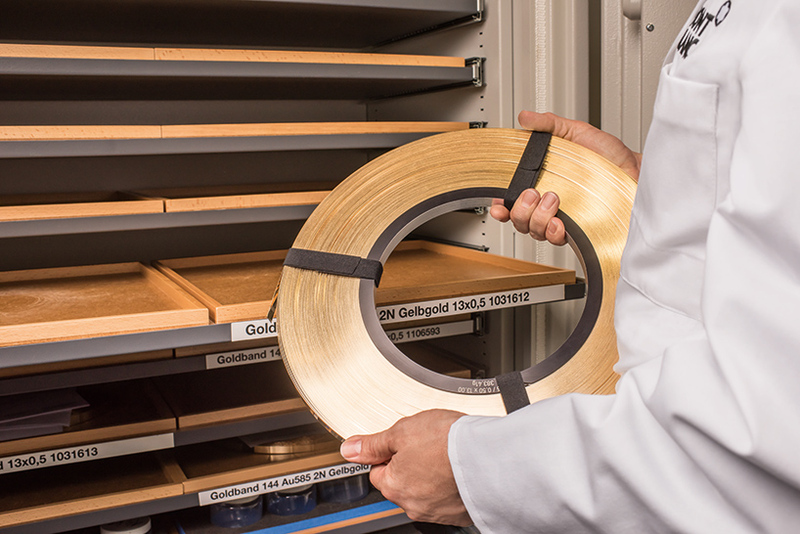 having a good ear plays a crucial role in the quality control process: a nib writing expert attentively listens to the sound each nib makes as it glides over paper — only nibs that do not scratch or snag pass the quality inspection. 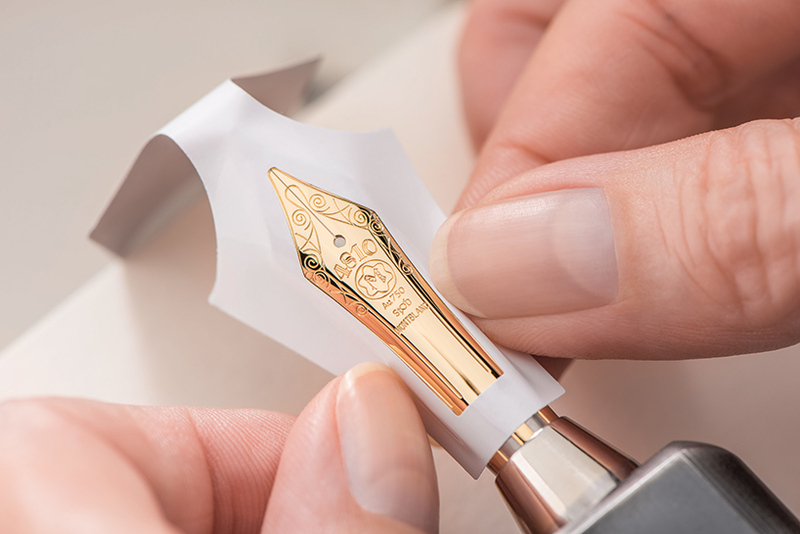 specialized montblanc techniques that embody the high level of craftsmanship used are highlighted throughout the exhibition, such as the bespoke nib. 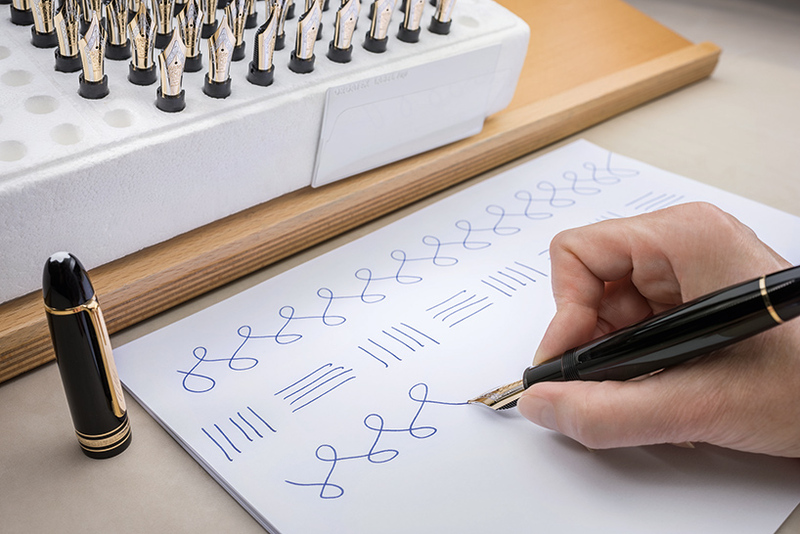 montblanc uses software to capture and analyze the unique characteristics of a person’s handwriting, measuring their writing pressure, angle of inclination, and rotation of the instrument. 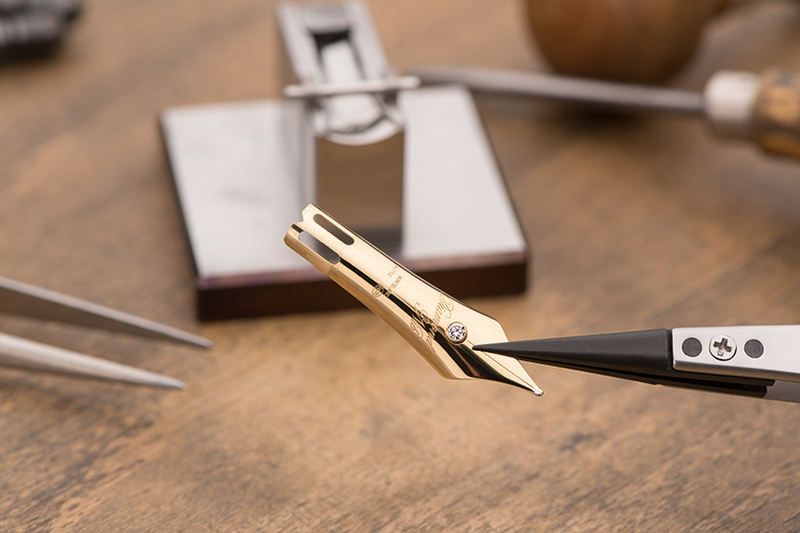 data is then interpreted by a montblanc expert who can recommend the precise nib that corresponds to the individual’s needs, or can create a fully-customized nib to achieve a particularly thick or fine line. these customized solutions intensify the unique pleasure of the glide of a nib over paper that is best experienced with a fountain pen. 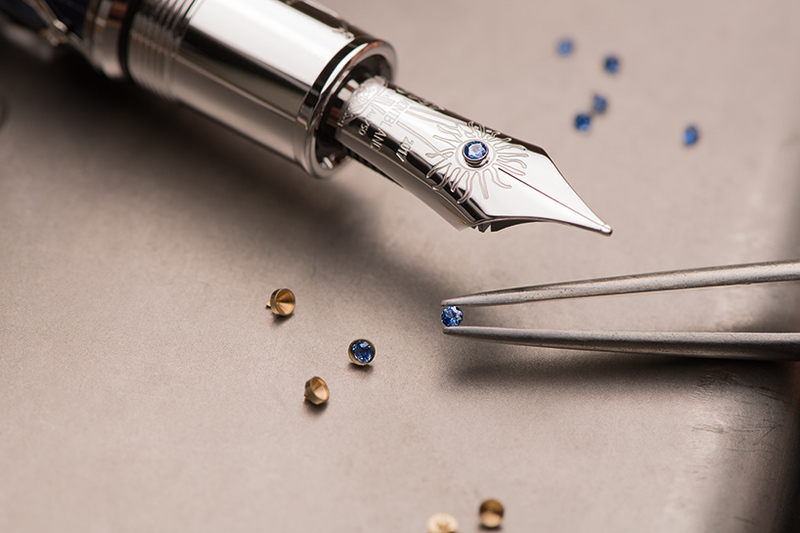 additional customizations include the jewelry nib — a unique feature to montblanc. 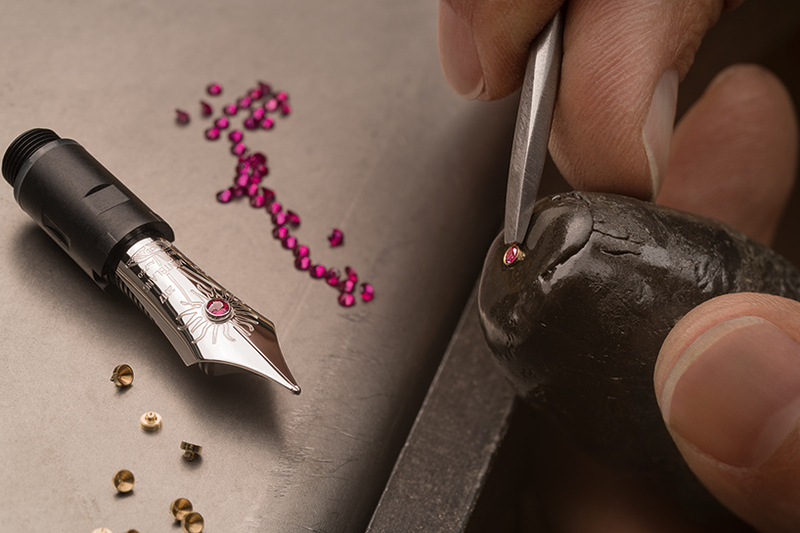 nibs can be creatively embellished with precious stones — such as rubies, emeralds or diamonds — and special engravings, which harness the skills of the maison’s master gem-setters and engravers. 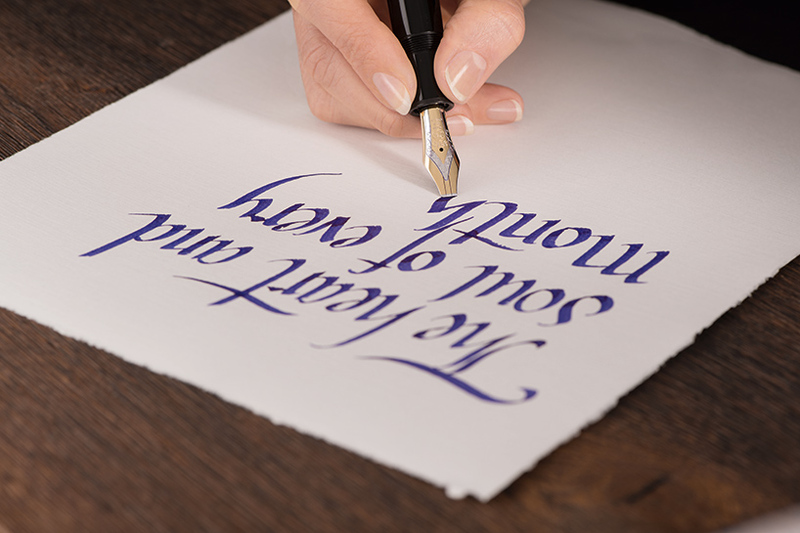 furthermore, the expression nib — made exclusively with gold — is perfectly suited for more elaborate calligraphy with its special flexible nib features that allow a variety of writing styles. 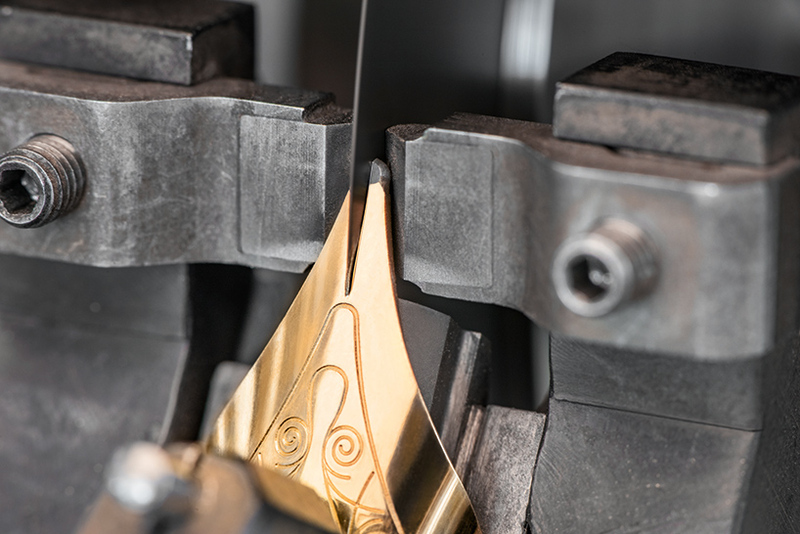 due to the slenderness of the tines and special geometry of the nib point, the highest levels of precision can be achieved whilst writing. discover montblanc at ‘homo faber’ beginning on september 14 at fondazione giorgio cini on san giorgio maggiore island in venice, italy.